Early last year Kasra’s Critical imprint put out a tasty little 12″ from Sabre, Stray and Halogenix featuring the beautiful tune that is Oblique. The material was released to much critical acclaim and was generally lauded as one of the best tunes of the year (amongst some impressive competition too). Since then the trio have been quiet, mainly focusing on their individual solo activities. But just recently they announced the formation of a new alias for their collective work; Ivy Lab. Naturally this announcement also came with news of a new release, which is due out on Critical Music Feb 4th. Afterthought on the A-side brings back the vocal talents of Frank Carter III to great effect, and is a beautiful (if somewhat predictable) soulful, understated roller. Very much Oblique-the-second. Over on the flip, Ivy Lab prove themselves far from one trick ponies with the dirty, weird, robotic half step sounds of Brat. To round the package off, those that pick up the digital release get a rather tasty House rework of Brat from South London Ordnance, taking the excellent sound pallet of the original and bringing it down to a slower, more methodical beat. Check out the tunes below and watch out for the full release from your favourite vinyl or digital outlet! The mighty Critical Music have just announced a slew of dates across the UK and Europe, with big line ups featuring the likes of Kasra, Phace, Xtrah, Emperor, Foreign Concept & Mefjus. The Critical crew will be hitting Milton Keynes, Nottingham, London, Bristol, Brighton, Portsmouth, Brussels & Linz over February and March and will be destroying dancefloors all the way. Check out their events page for all the details. Those in the Kent area who like their D&B rowdy and dancefloor-oriented would do well to check out the Mampi Swift album launch on Feburary 2nd! With an all star lineup featuring Friction, Bailey, Hazard , Brockie and Randall alongside the man himself, this one should be messy! Check out all the details on the Facebook event. Today’s classic track takes us back to 2006 and Teebee’s excellent remix of the legendary Photek’s Ni Ten Ichi Ryu (rougly translated as “Two Swords Technique”). Still fresh today, the clattering jungle-esque beat combines with some aptly chosen sword sound effects to produce a frenetic vibe, contrasting nicely with the soft, atmospheric Japanese-style pads. Teebee rounds the tune off nicely with some dirty tech bass stabs, aptly capturing the spirit of the Photek original but lending it a heavier, more cutting edge. Tune! Those who keep an eye on Lenzman‘s soundcloud will have noticed that he releases an excellent mix every month or two, usually with the accompaniment of a talented yet understated MC. Past mixtapes have featured DRS and Riya, and this time Dan Steno steps up to the mic and helps Lenzman bring in the new year with a selection of drum & bass spanning deep minimal and warm, soulful liquid. Highlights include new cuts from Critical, Soul:R, and the beautiful new Makoto remix of Lenzman’s Broken Dreams which is forthcoming on Metalheadz later this year. Yes selecta! I’ve long been a fan of Horizons for a number of reasons; their commitment to vinyl releases certainly endears them to me, but above all it’s the desire to release drum and bass which isn’t solely aimed at the dancefloor. Music that works as well in your bedroom as it does in a club, and music that is charged with emotion. Their latest release from Naibu hits the spot in that regard, delivering some deep, melancholy sounds. Opener Just Like You sets the pace with skittering drums, soft pads and a warm vocal from Key. The EP heads for slightly darker territory with Nothing Special and continues to waver between beautiful and brooding from track to track to great effect. Sadly nearly half the tracks have yet to be previewed publicly (such as the excellent Autumn Comes) but I can leave you with the last track on the EP, a typically classy and well engineered remix from Break. Watch out for previews of the rest of the tracks on the Horizons soundcloud page and look out for the release on three 10″ vinyls on March 11th. Shogun sister label SGN:Ltd are back with another deft signing in the form of up and coming liquid producer Liz-E. Her debut for SGN is smooth, rolling, uplifting liquid funk which brings to mind recent releases from the likes of Technimatic. Look out for these dropping very soon! Today’s mixtape selection is an oldie but a goodie from Ben UFO for the well established Boiler Room mix series. 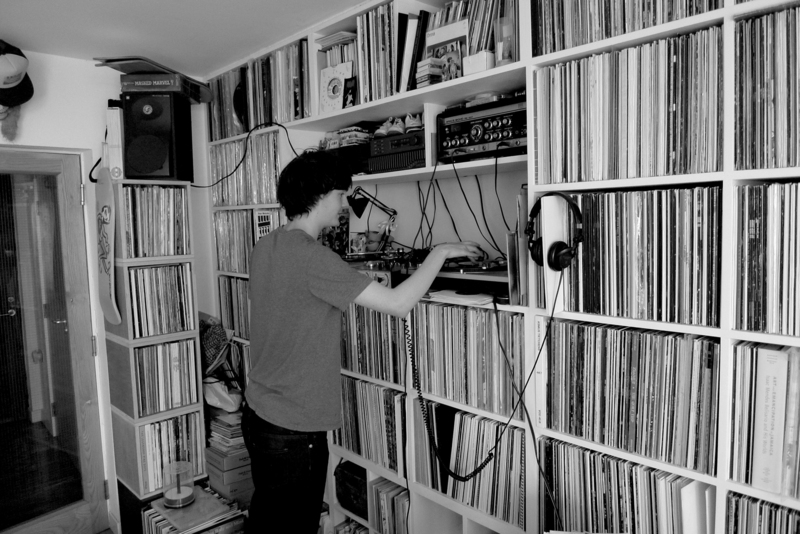 Digging deep in the crates, Ben comes correct with a selection of classic jungle and 90s D&B from the likes of DJ Die, Lemon D, Doc Scott and Klute. One for the old school heads! For the first of our running feature on classic tracks, I’ve picked out one of the first D&B tunes I heard from one of the producers that got me into the music, Black Sun Empire. Taken from their first album Driving Insane, Arrakis epitomises the super-crunchy, atmosphere-laden sounds of 2004 era neurofunk. All brooding pads and sci-fi-esque synths on the build up, and when it drops the dutch trio let loose with a furious break and heavy sub lines under a filtered, twisted reese bass. Epic!